The obedience portion develops and tests the dogs temperament, structural efficiency, and it’s ability and desire to serve its handler. The obedient dog responds to commands, is social around humans and other dogs, and is well behaved and responsive in a variety of situations. The protection portion does not "teach" the dog to bite (they are born knowing how to do this!). Schutzhund fosters their "prey" drive instinct, and tests the dogs courage, physical strength, and agility. Complete control over the dog is essential. Dogs have 220 million olfactory receptors, which allows them the ability to discriminate smells more than 1000 times more than a human. This training is intended to test the dogs ability to concentrate, detect and discriminate scents, and allows assessment of its mental and physical endurance. 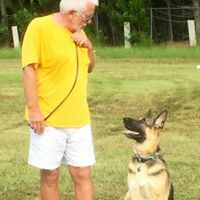 We welcome you to the Gulf Coast Schutzhund Club, Ft. Myers, Inc. Our club is a non-profit training club. As a Schutzhund Club, our members have various breeds of working dogs. 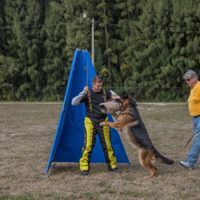 However, we are primarily dedicated to the fun of training our German Shepherd dogs to the German Standard of the Schutzhund title. We encourage a fun, relaxed, and open-minded environment. 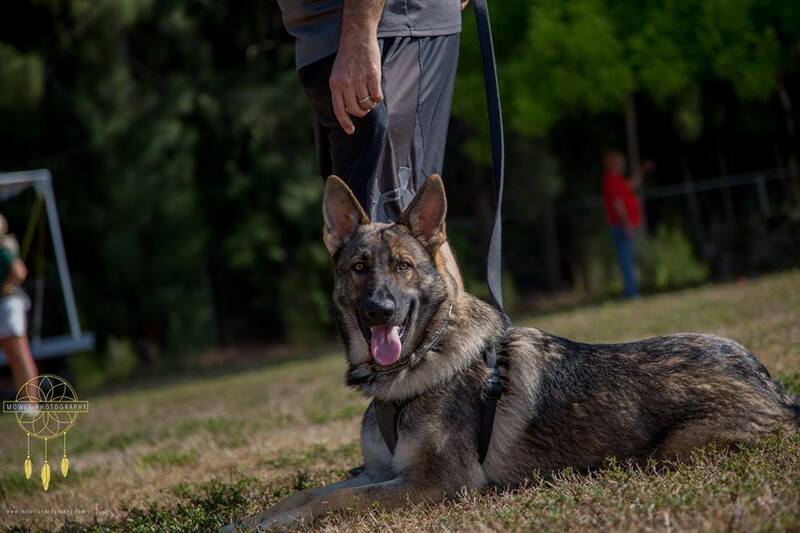 We have dogs and handlers at all levels with a common desire to advance their skills and train their dogs to achieve at their highest potential. Please browse our website to inform you about our club and to serve as an invitation to all who share our passion and love for dogs and their proper training.